Volunteer Opportunity If you have an interest in trails in West Hants we always welcome new members! 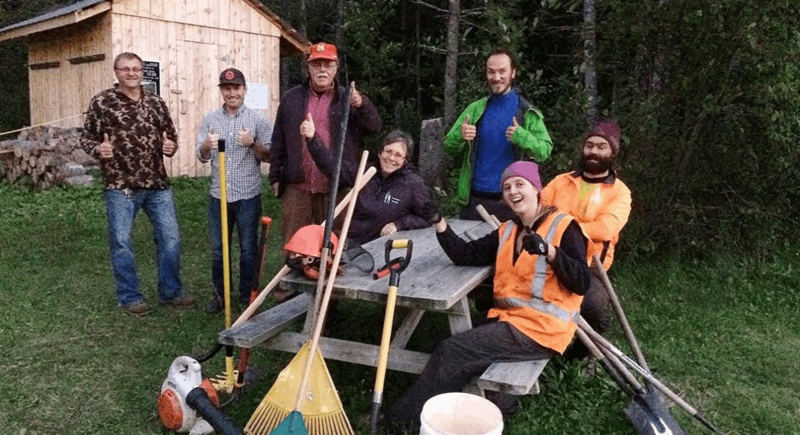 Come to meetings to have a voice in our trail development projects, or let us know if you want to offer your time to help build and maintain our trails! Information The purpose of the West Hants Trails Association is to develop and promote trails. West Hants has a beautiful natural environment with an abundance of forest, hills, lakes, rivers and coastline and therefore great potential for trails and a trail system. Already volunteer groups are working on a variety of community trails. The West Hants Trails Association was established to bring together individuals and groups interested in trail development and to support their efforts in building trails for the benefit of all. Meetings 2nd Wednesday of each month. Please contact us in advance should you wish to attend. Our meeting locations vary and we'd like you to be able to find us!